Sea Sports Belize has been participating in the La Ruta Maya Belize River Challenge since 2000 by paddling and also supporting the race by offering by Open Water Dive Course to the winners of the Intramural or Female Category. It is a 4 day canoe race over a long weekend in Belize. 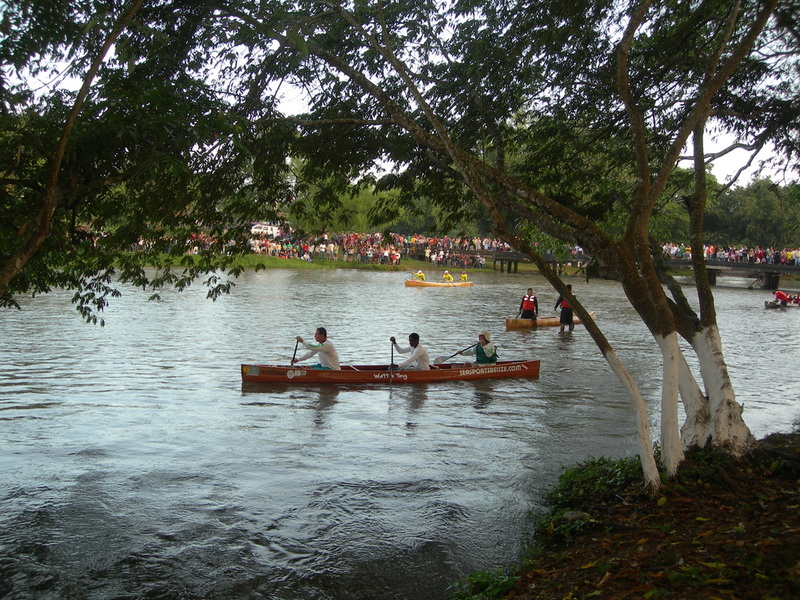 Each day teams of 3 paddlers make their way down the Belize River. The shortest day is about 3 hours and the longest day is 6 hours or non-stop paddling! Sea Sports Belize's canoe 'Watt A Ting' in the La Ruta Maya Belize River Challenge.